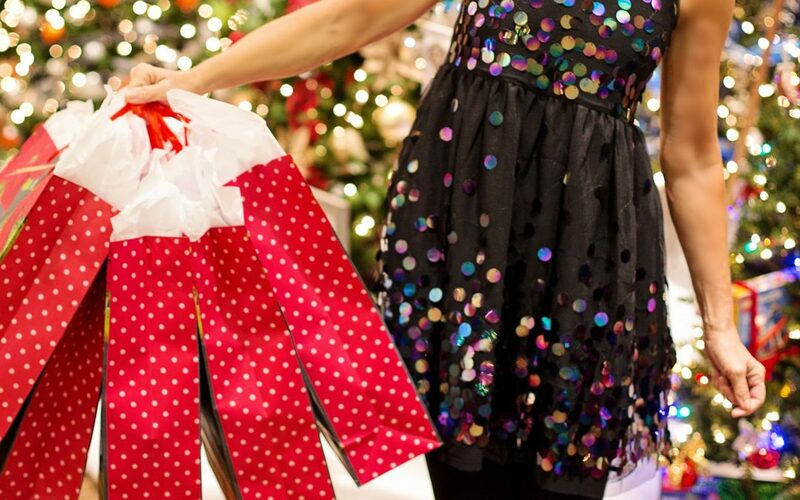 Consumers and retailers everywhere can feel the holiday noise. The noise that begins the first week of November and sticks around until the first week of the New Year. From Black Friday Sales, Small Business Saturday, Cyber Monday and on through Christmas Eve, we are submerged in a sea of advertising. If you own a business or sell services, there is no doubt that you are consumed with thoughts on how you can rise above the sound waves and reach your target consumer. The truth is, if you are going to dominate the market this holiday season, there are core principles you need to follow. However, making creative changes along the way does not hurt in a digital age when doing a little extra is always worth the time and effort. Here are eight creative and effective marketing strategies for your business to rock your sales and your year-end business goals this season! Have you heard the expression, “If you scratch my back, I’ll scratch yours”? This is a great idea when it comes to marketing your business. Why not promote your neighbor’s business? This could mean more foot traffic in store for you and a potentially new group of clients. Tag them in relevant social media posts and recommend their services in your newsletters. You’ll help them while helping yourself. Your customer is the best source of what your target audience is interested in buying, and this information can help you project seasonal trends. The information could also lead you to be the only store in town with the hottest item on everyone’s wish list. Asking customers to participate in a quick 3 to 5 question survey will provide valuable feedback for your business and you can sweeten the deal with a 20% participation discount. Family-friendly events bring customers in on the weekends and offer an experience to families looking to spend time together over the holidays. Take for instance, a dog-friendly policy, lots of businesses are taking advantage of this new trend and are seeing increases in foot traffic. Offer a small freebie along with an extra discount to teachers, firemen, social workers, police and service members. The act of giving back to the local community will make you feel great too! If you have a storefront, make it a seasonal attraction. Displaying a snow village during the holidays is a fun way to bring new customers to your store and keep clients coming back to see updates to your display. Throughout the year, consider featuring local artists, seasonal merchandise, and engage the community by holding decorating contests. Why not create an experience for your customers by serving hot cocoa and sugar cookies? Regardless of what you decide would be suitable for your brand or store, creating a shopping experience is an absolute must for today’s shopper. Give them something to remember and they will keep coming back throughout the year. Going back to “Share the Love,” if you have many small businesses around yours, why not consider having a themed night, such as “Third Thursday” when all the businesses stay open a couple hours later and hold special in-store events on the third Thursday every month? Working as a team will boost sales for everyone and help your businesses stand out from the crowd. Don’t forget the best marketing tool on the planet. If you want your social media to make an impact, plan a marketing strategy that includes your customers! An example could be the 12 Days of Christmas – come up with a special gift for followers who like and share your posts during your 12 days. The items, of course, should be well thought out and on-trend to garner interest. This strategy attracts customers who see your shared posts. Your business is not like everyone else so be creative! Why not create a virtual advent calendar that promotes a different product each day from November to January? Each day a discount is revealed with a promotional product and a link to purchase that product.